A story from Bloomberg this morning details one of the myriad issues that need to be addressed before driverless robotaxis can be deployed by the likes of General Motors and Uber: how to clean up a passengers’ puke. A start-up in San Francisco offers one idea—a 24/7 cleaning service—but I think there’s a much simpler solution. 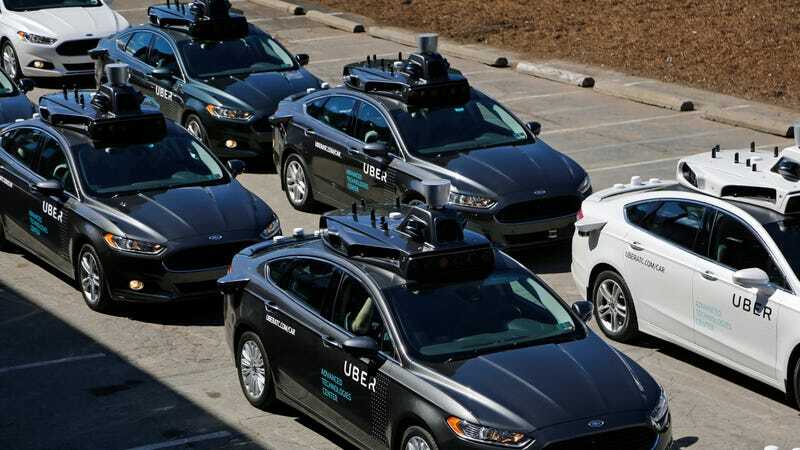 For General Motors Co., Uber Technologies Inc. and others mulling a foray into robotaxis, the bill could be in the tens of millions of dollars annually. When you add things like insurance, inventory storage and the steadily shrinking value of beat-up cars? Billions. Apple and Waymo recently inked deals with rental companies Avis and Hertz to manage driverless car fleets—and while a fleet manager can’t handle capital costs and insurance, I don’t see why they can’t tackle puke. Here is the groundbreaking solution I have: brown paper bags. The Apple and Waymo deals suggest this future scenario of robotaxis carting passengers around downtown cores—something automakers want to make a reality by the early 2020s—will involve rental car companies, an easy way in for autonomous car developers to access a wide-range of vehicles already in service. “Avis gives Waymo a potential asset that rivals like the major automakers and Uber Technologies Inc already have: a sprawling network of traditional cars and customers that could be transformed into an autonomous transport service over time,” Bloomberg reported. Sure, Bloomberg says that rental companies have “struggled to contain their own costs in taking care of cars and trucks used by the great unwashed public.” But what’s stopping an Avis or Hertz employee from adding a fresh set of brown paper bags into a vehicle at the end of the day. They could be placed in the pocket behind the driver’s seat—if the cars won’t have a driver’s seat, then on the side of the car—with a small placard that reads: Hey, you, puke into one of these. If a passenger needs to hurl, they can reach for a bag, upchuck, and deposit their waste into a tiny garbage can that, I imagine, can’t be a technological leap for autonomous car developers to install in a robotaxi. When they vomit, they can press a button, notifying Avis or Hertz of their sin, and the car can be commanded to return to the rental car company office, so that same sad employee can empty the garbage can. Can’t have a smelly robotaxi for the next client. There, I solved the robotaxi vomit problem. Give me ten million dollars.